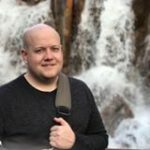 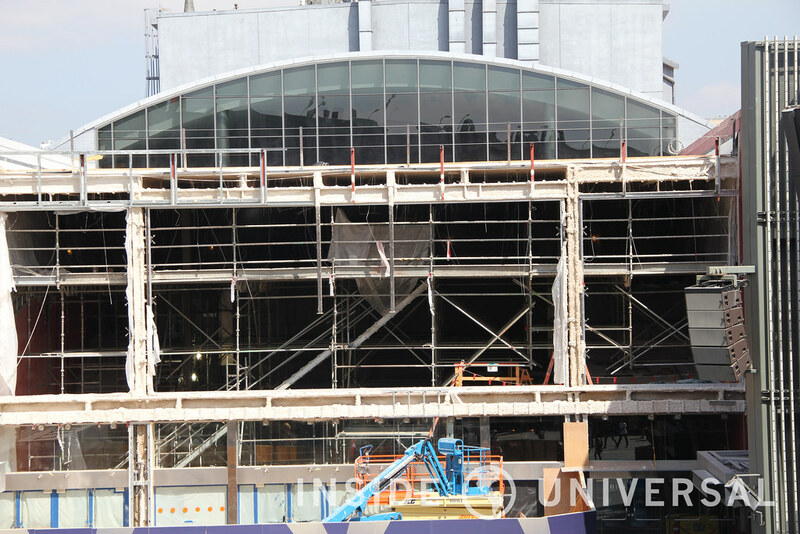 It’s time for another photo update! 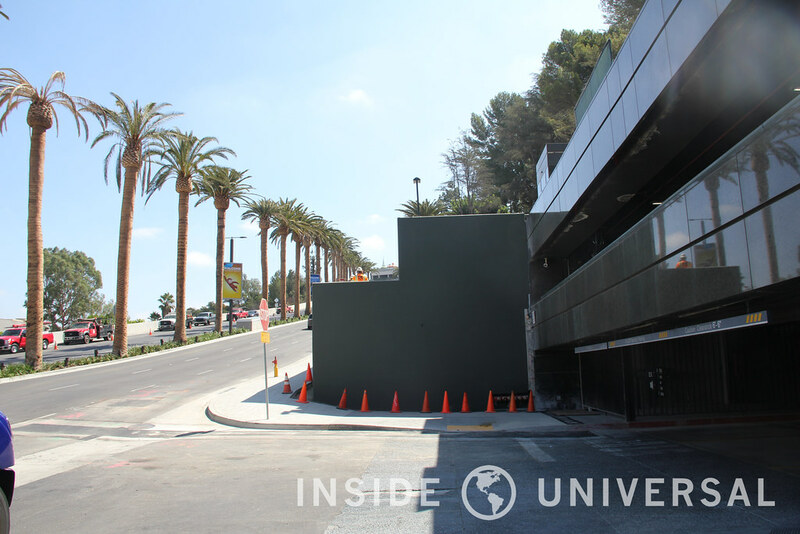 In this month’s installment, we’ll be looking at ongoing construction for Halloween Horror Nights, new posters on Lankershim Drive, an update on Universal Studios’ 5-year plan and more. 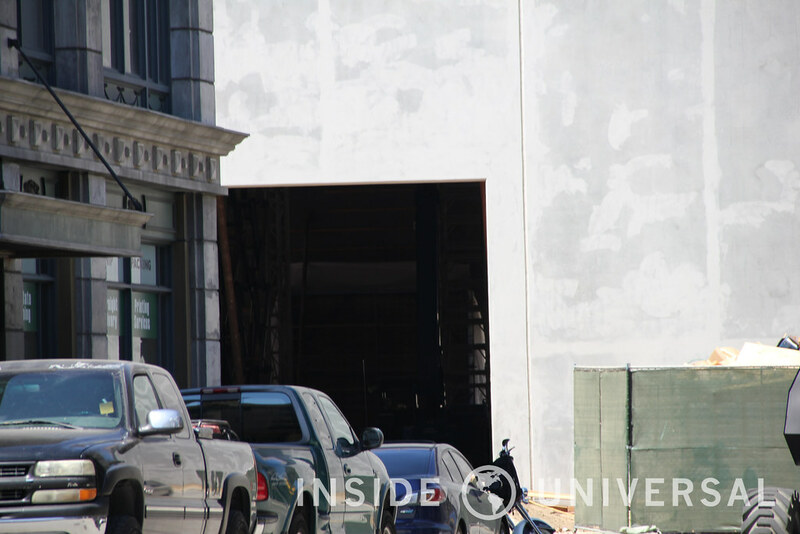 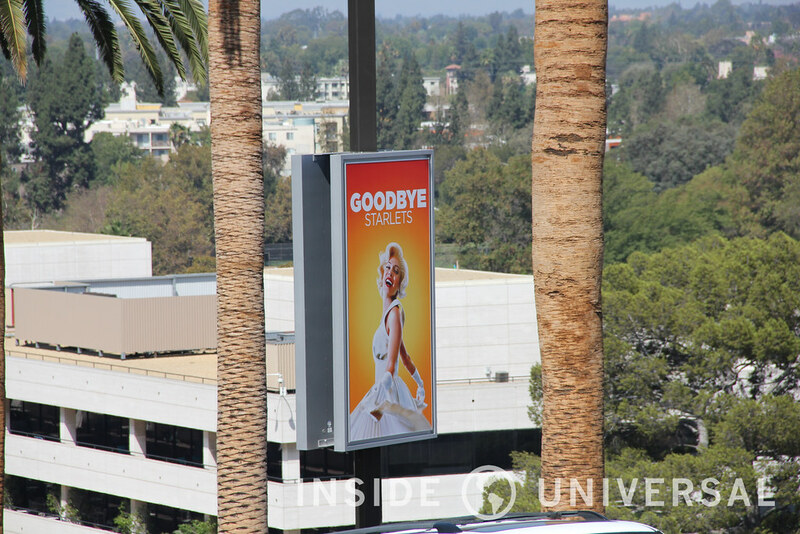 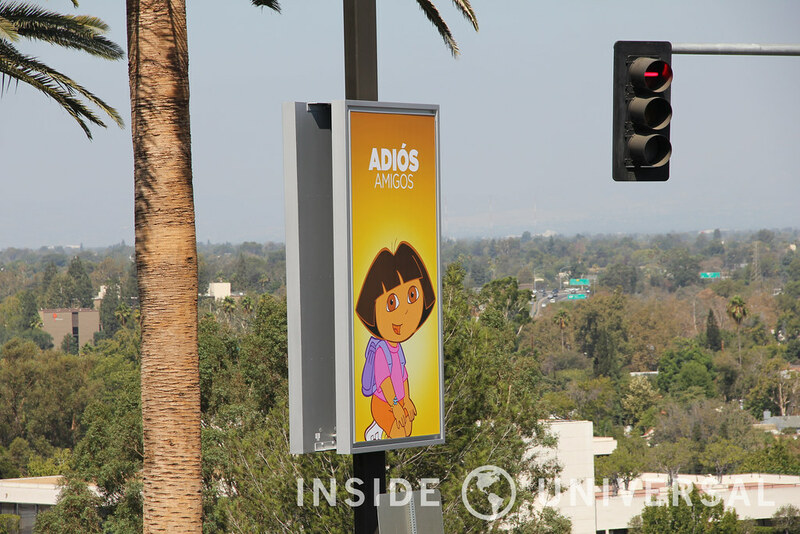 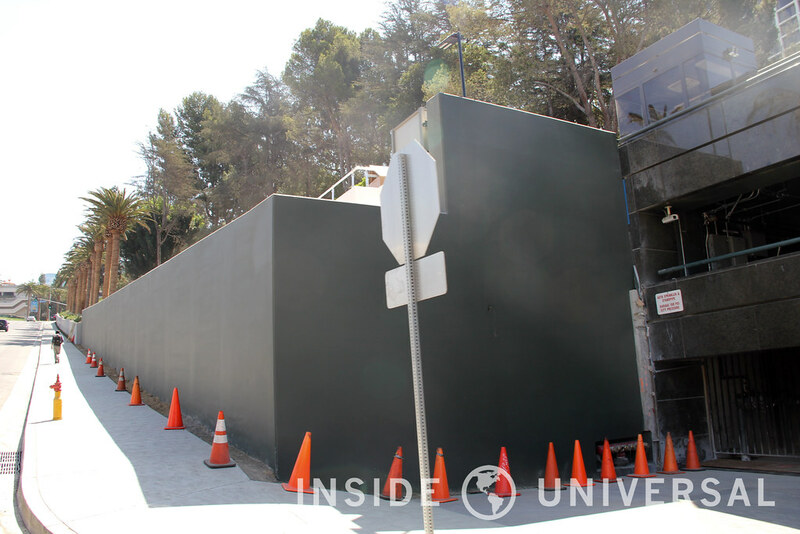 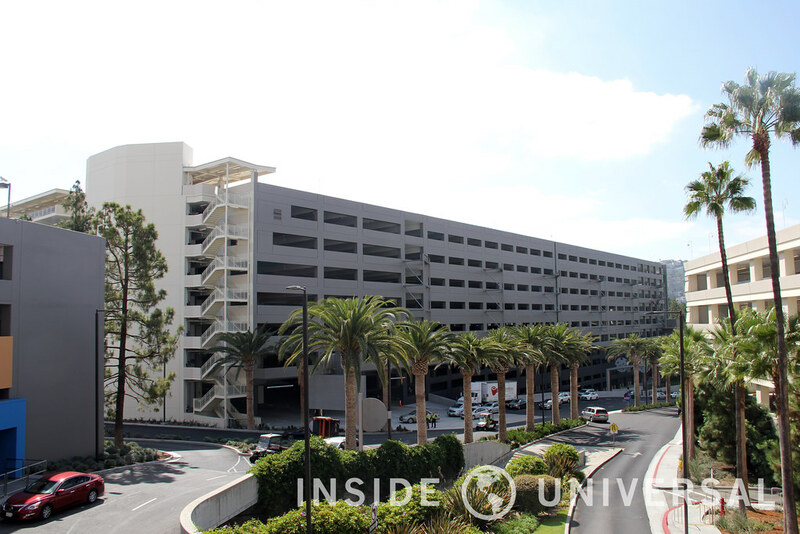 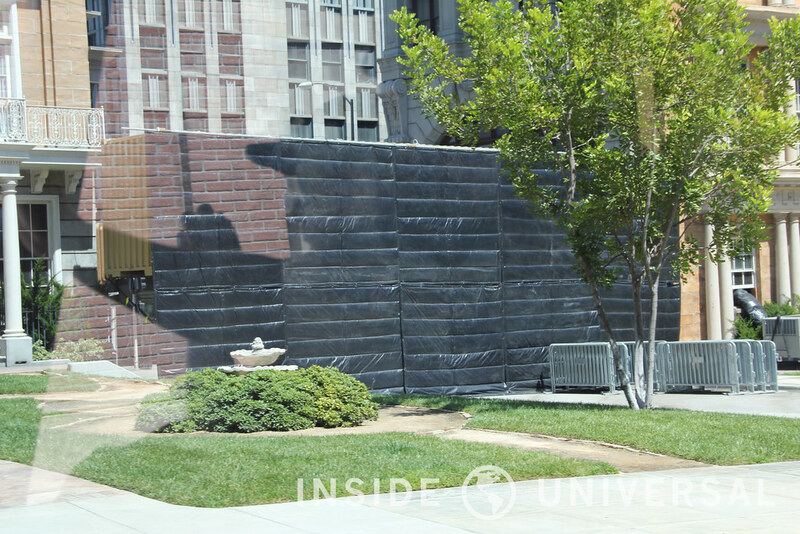 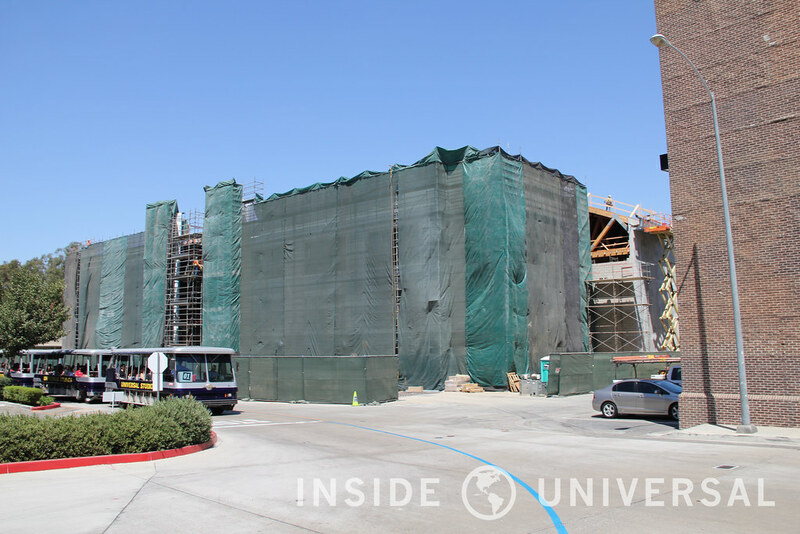 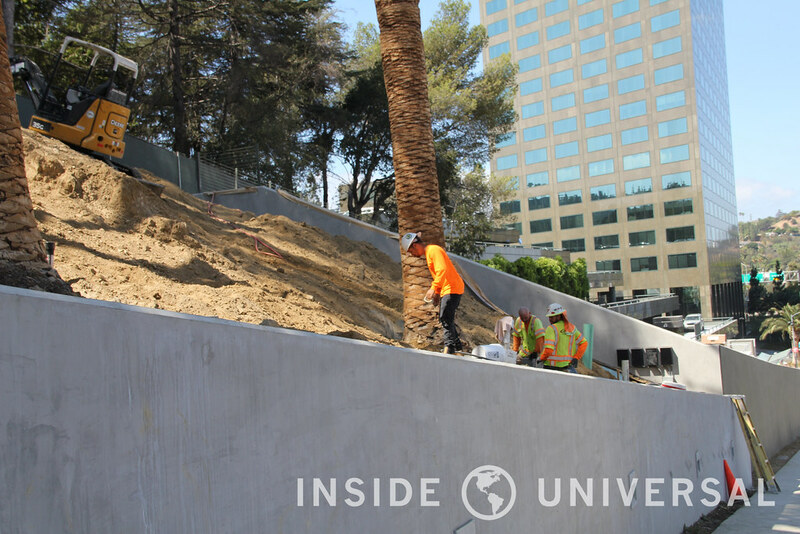 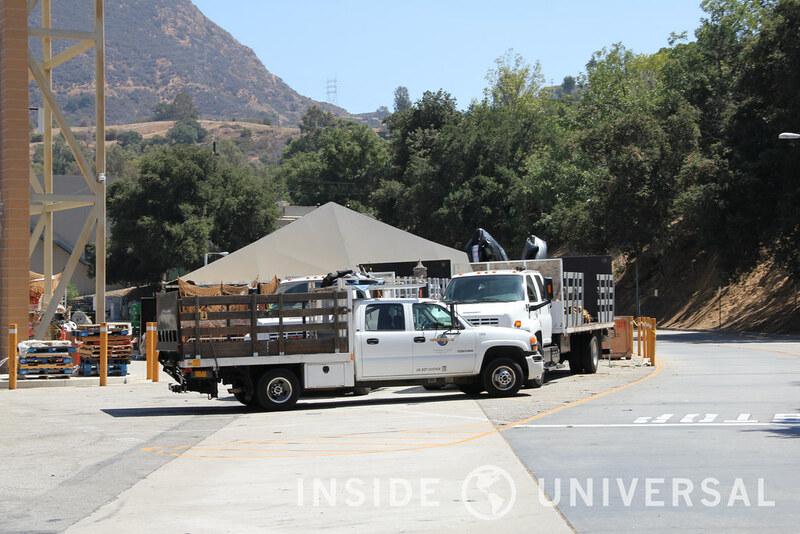 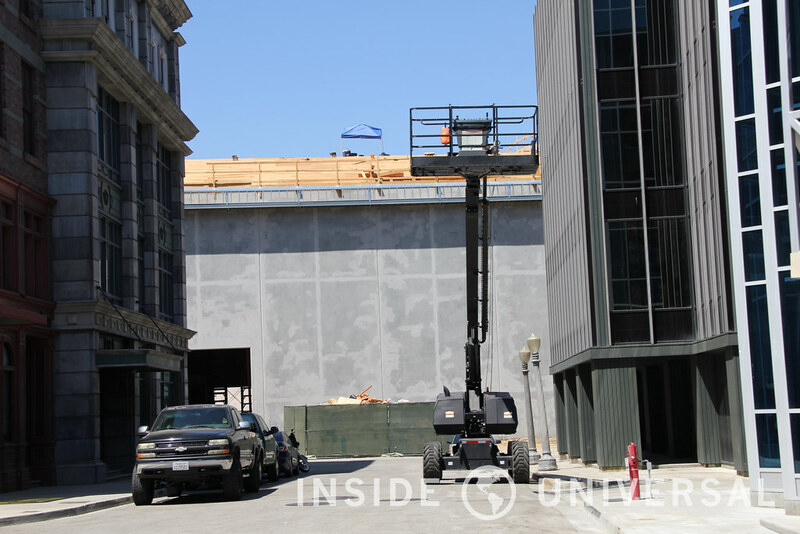 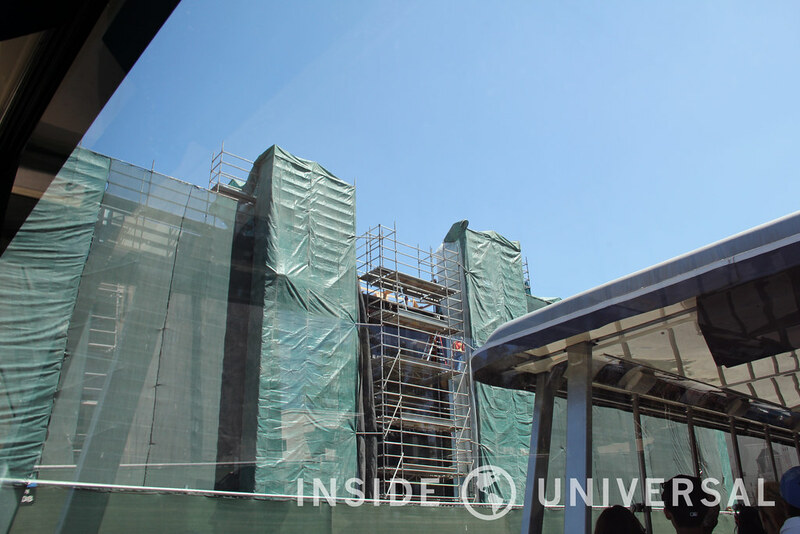 Crews are beginning to finish the tunnel that connects 10 Universal City Plaza to the neighboring film and television studio, focusing on surrounding dirt which requires some shrubbery to help beautify the area. 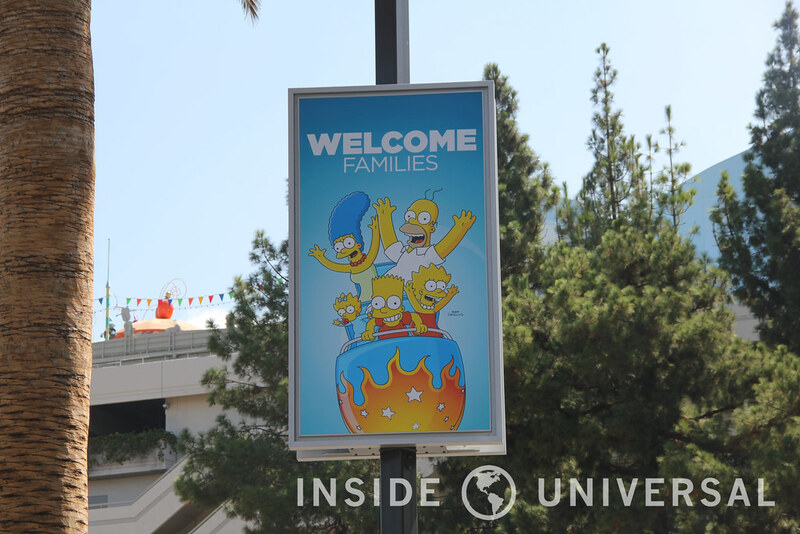 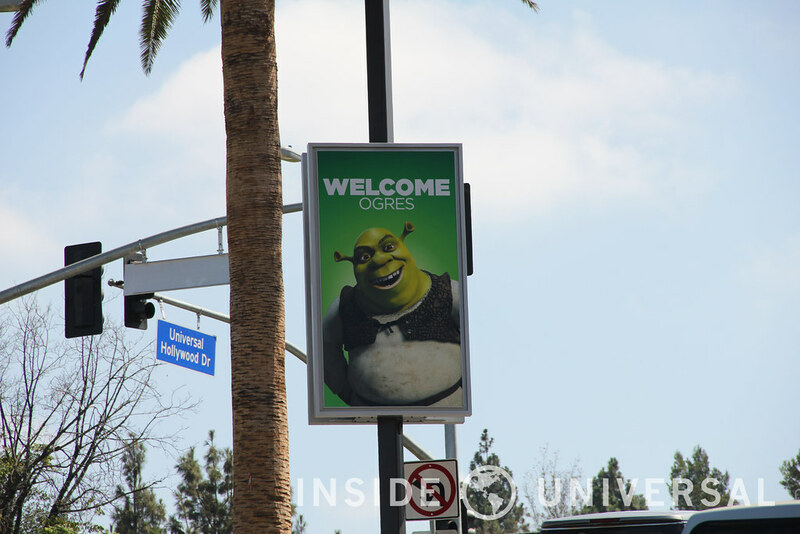 As you make your way up the hill, Universal has also new double-sided posters that greet incoming and disembarking guests. 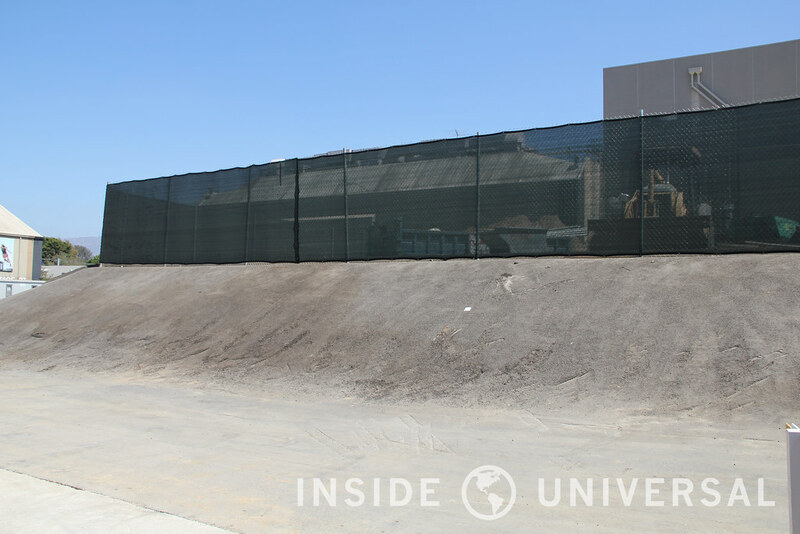 Since Fung Lum was demolished back in 2014 in preparation for a new hotel, the location has since become the dumping ground for mounds of dirt. 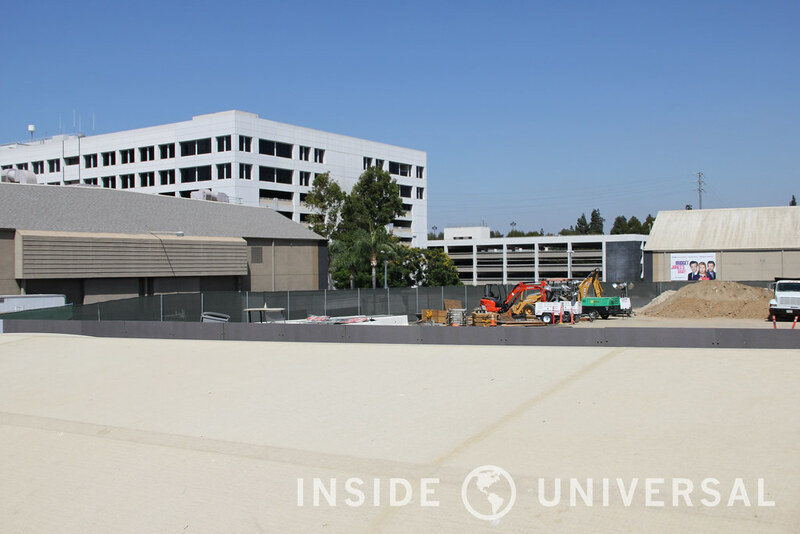 The dirt has now been removed and asphalt has been laid. 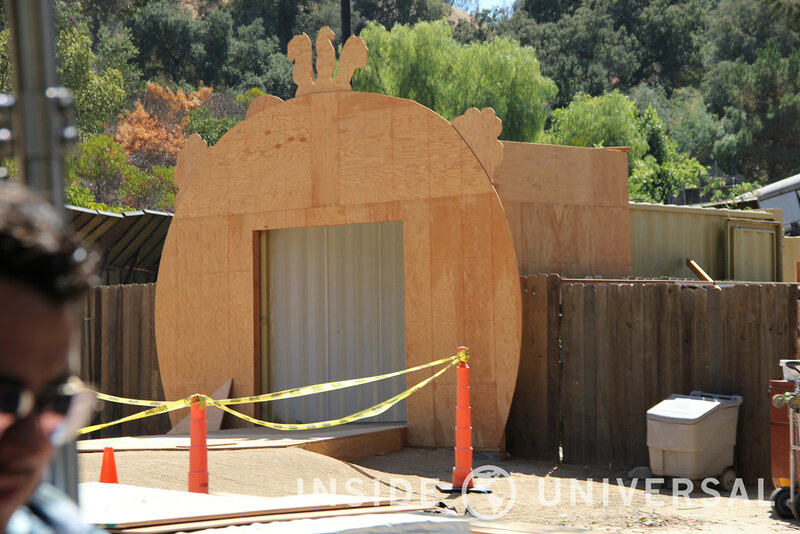 In other news, construction crews have installed some support structures on the relatively new E.T. 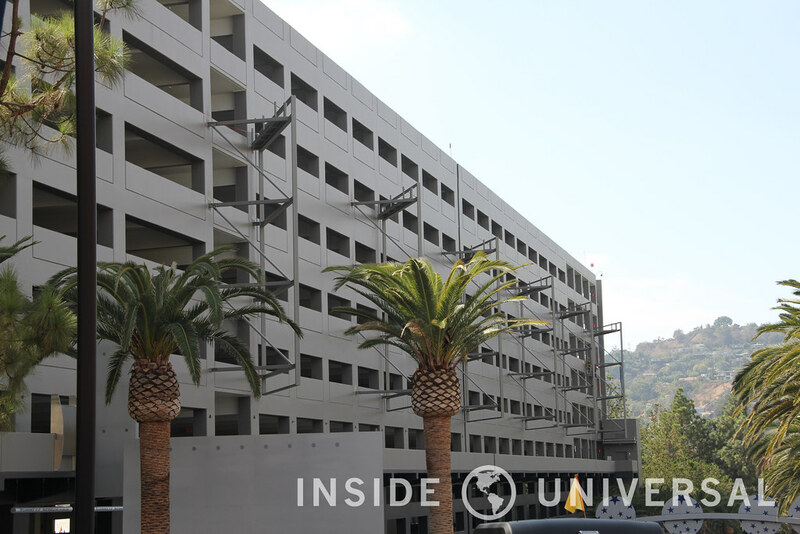 parking structure. 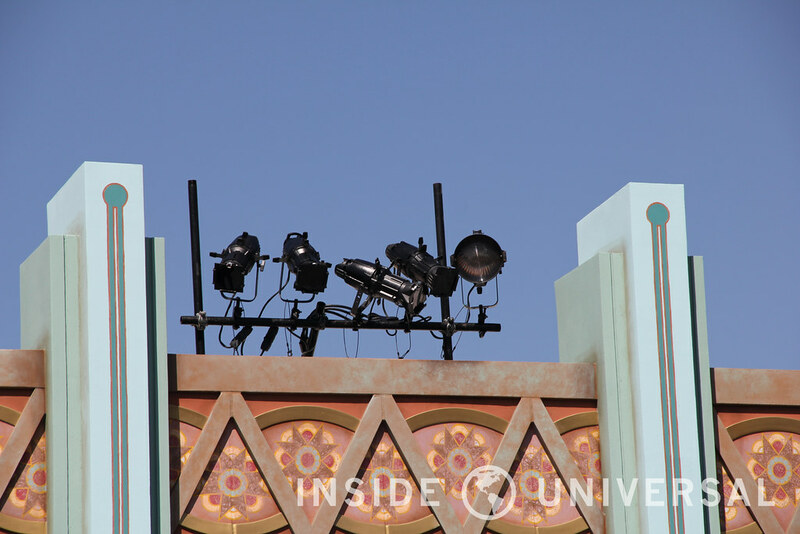 While we’re not sure exactly what they’re for, it looks as if these will be used to support promotional posters. 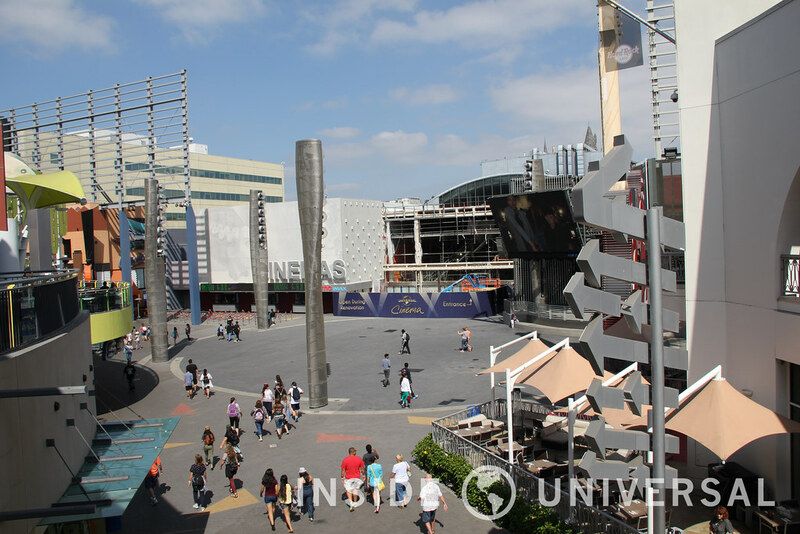 CityWalk Hollywood’s transformation continues to progress. 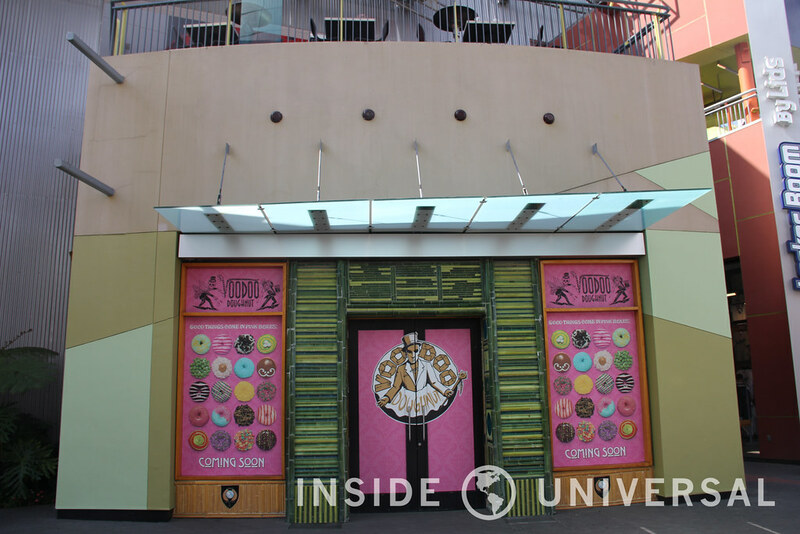 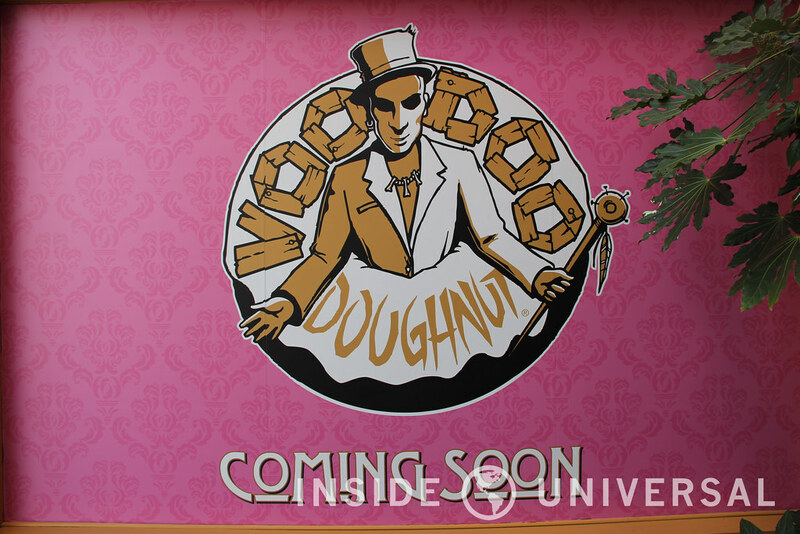 The former Jillian’s location is continuing its transformation into the highly anticipated Jimmy Buffet’s Margaritaville, while Voodoo Doughnuts still shows no sign of exterior progress. 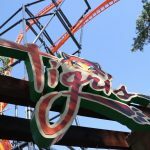 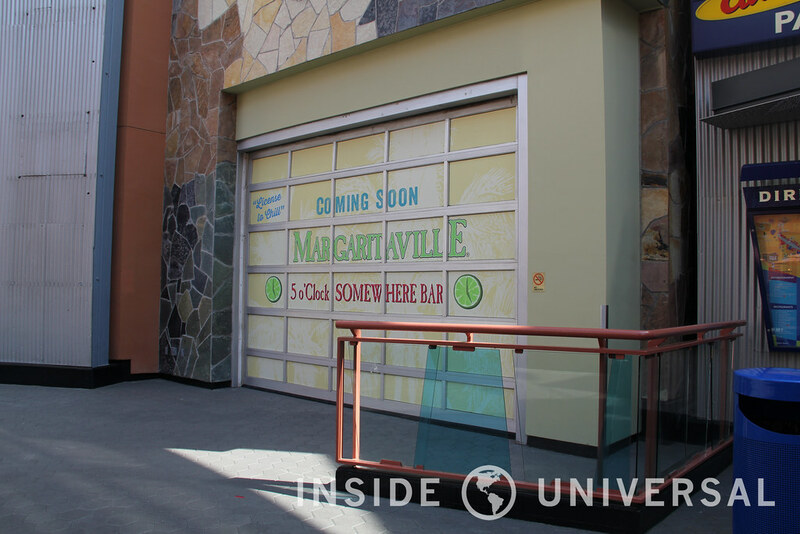 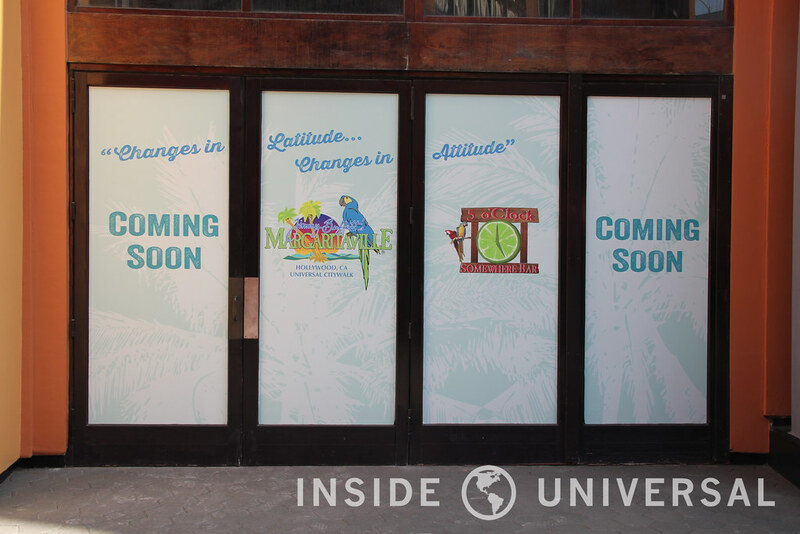 Hopefully, we will find out an opening date sometime soon. 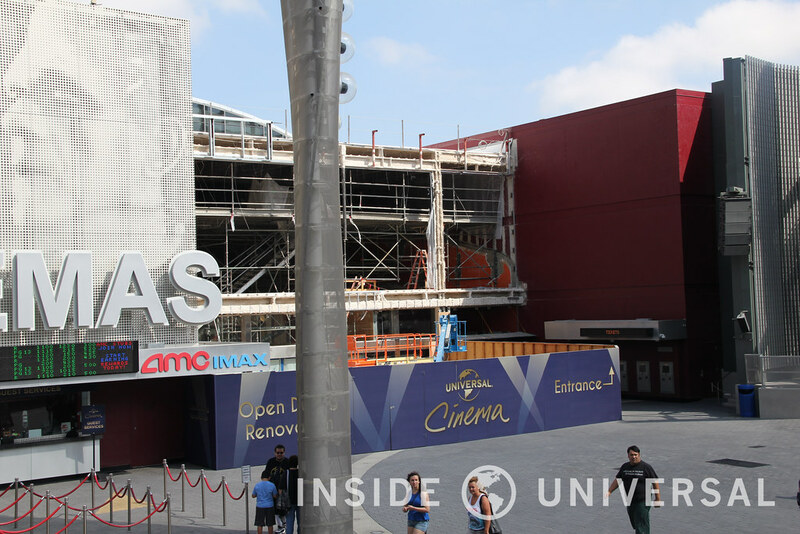 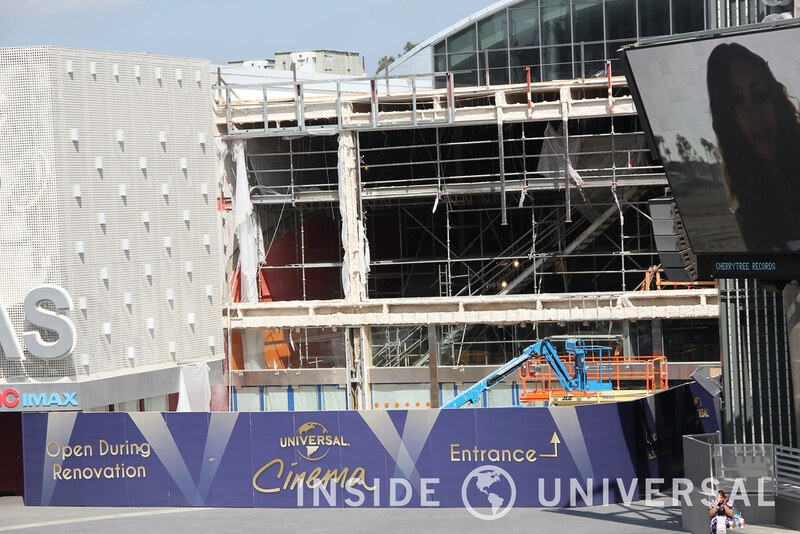 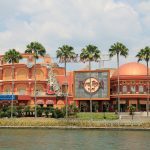 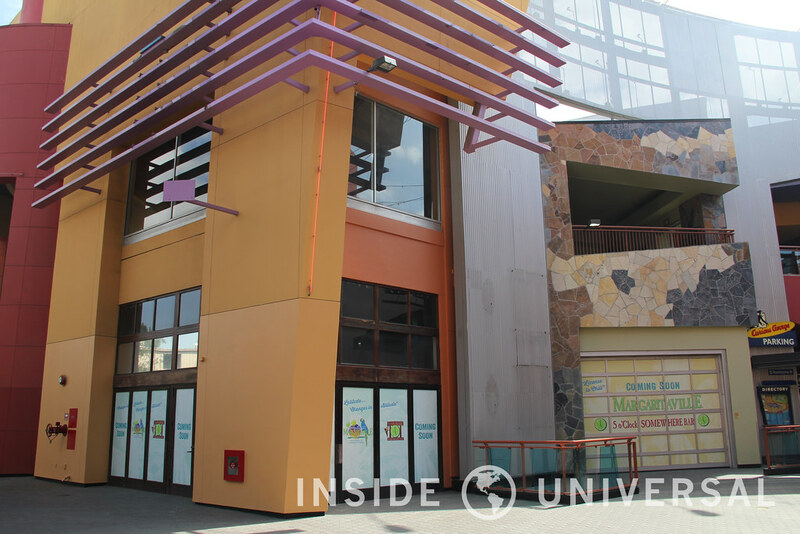 The most dramatic portion of CityWalk’s ongoing transformation revolves around the Universal Cinemas, which has undergone some significant improvements aimed at modernizing the venue. 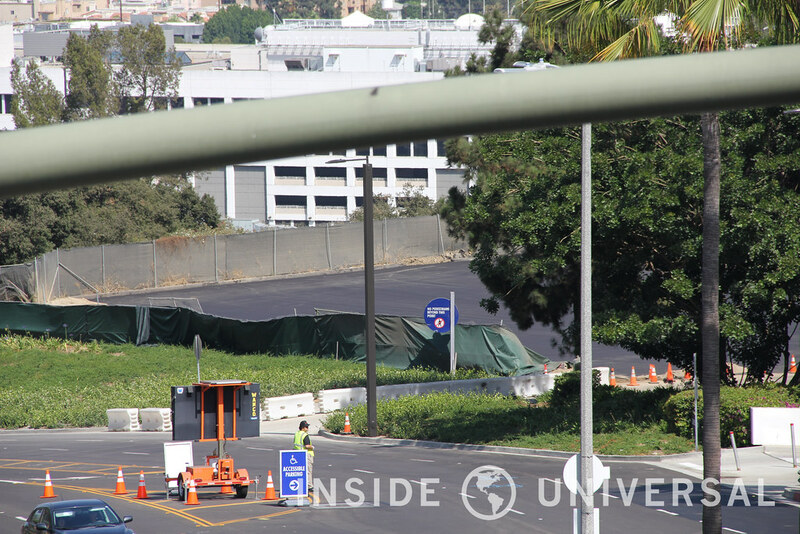 Moving inside the theme park, trench work has been taking place after hours around the park entryway. 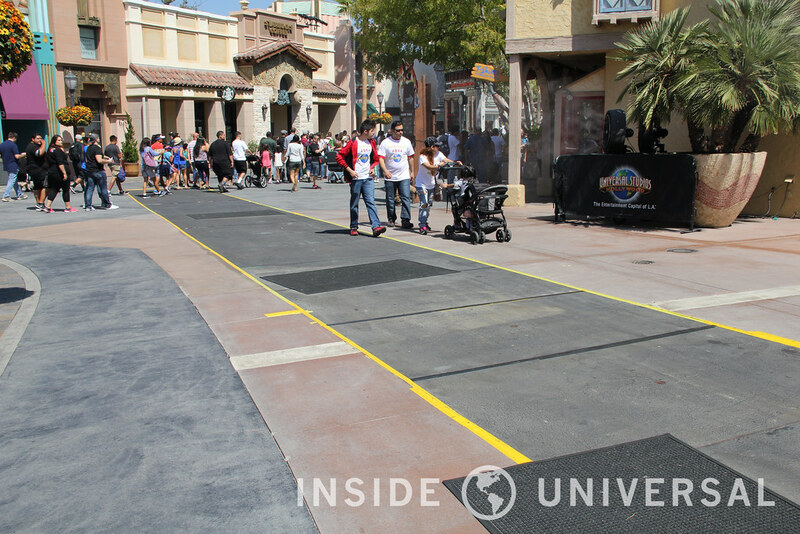 Work on the park’s flooring begins near the entrance to WaterWorld and travels all of the way to Shrek. 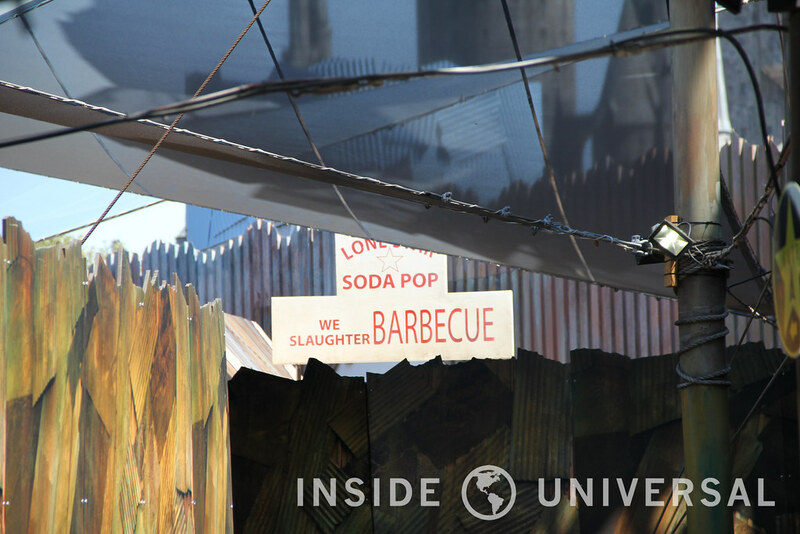 Halloween Horror Nights is less than two weeks away, with employee preview night occurring on September 13. 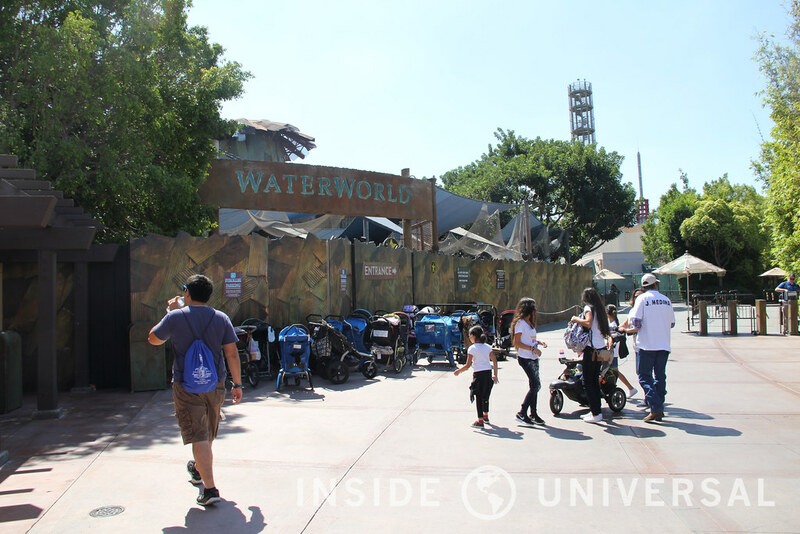 The Upper Lot will house two mazes and one mega scare zone, including Texas Chainsaw Massacre in the WaterWorld queue, the Walking Dead Attraction and the ultra-scare zone based off The Purge. 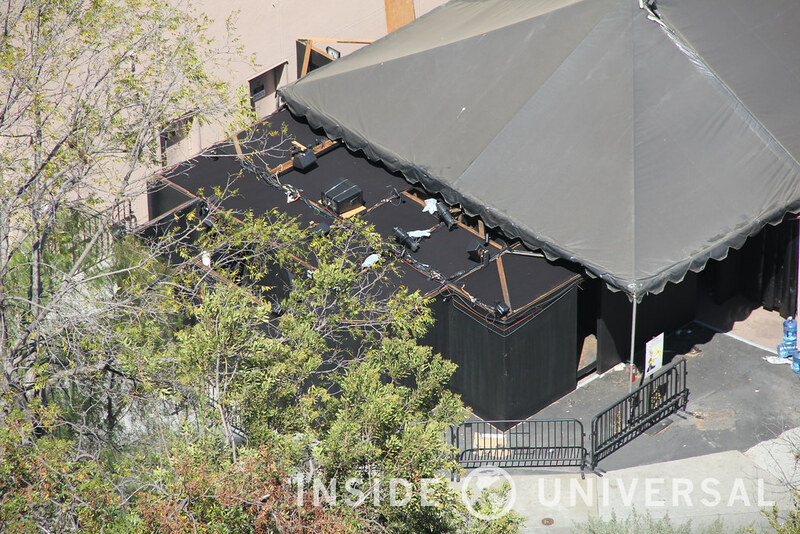 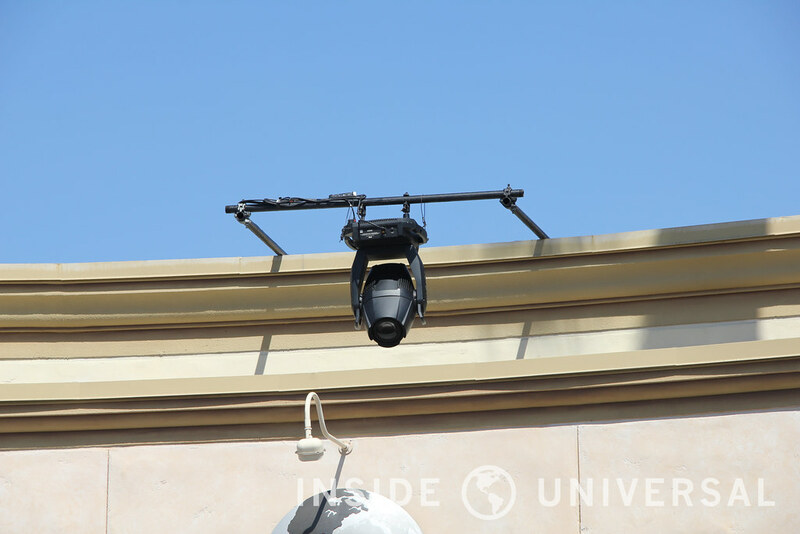 While Horror Nights decoration has yet to appear, weather-resistant moving heads and spotlights have appeared around the Upper Lot. 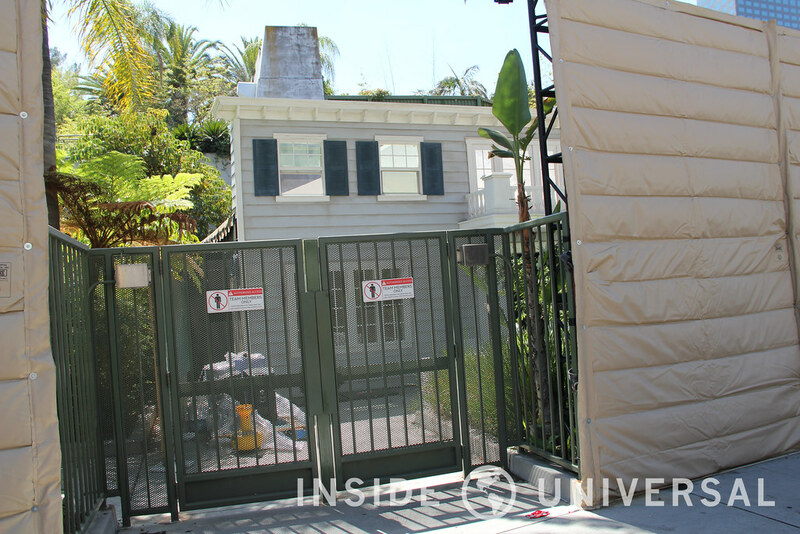 As we make our way to the Lower Lot, The Exorcist (which is located in the Revenge of the Mummy queue) and Halloween (located in the Jurassic Park extended queue) have both progressed nicely since our last update, with crews installing props and audio equipment as September 16 approaches. 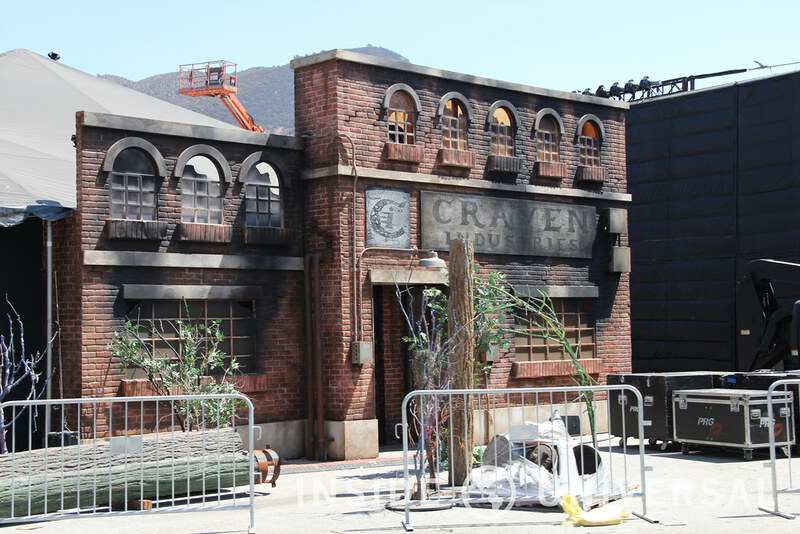 From there we move to the Metropolitan sets, where crews are finalizing the design on the area’s three mazes. 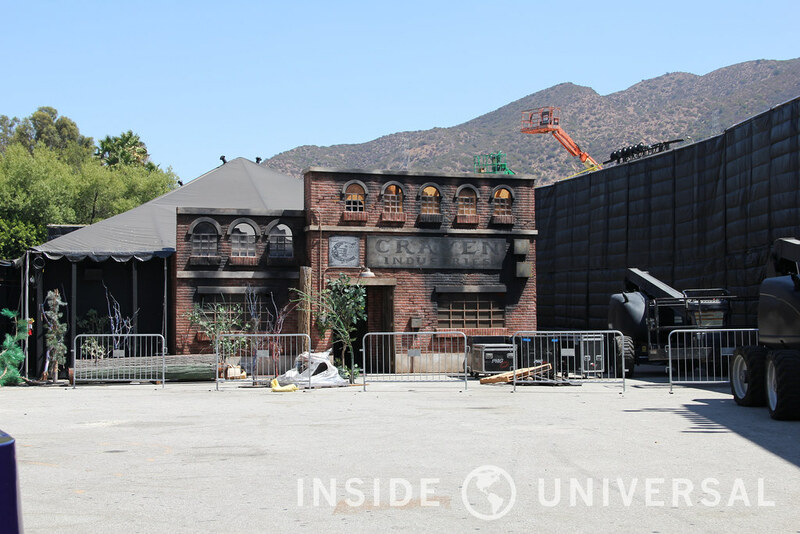 American Horror Story (which is located in the tram pick up location from last year) has received quite a few props since our last update, while Krampus now looks looks like a wintery wonderland. 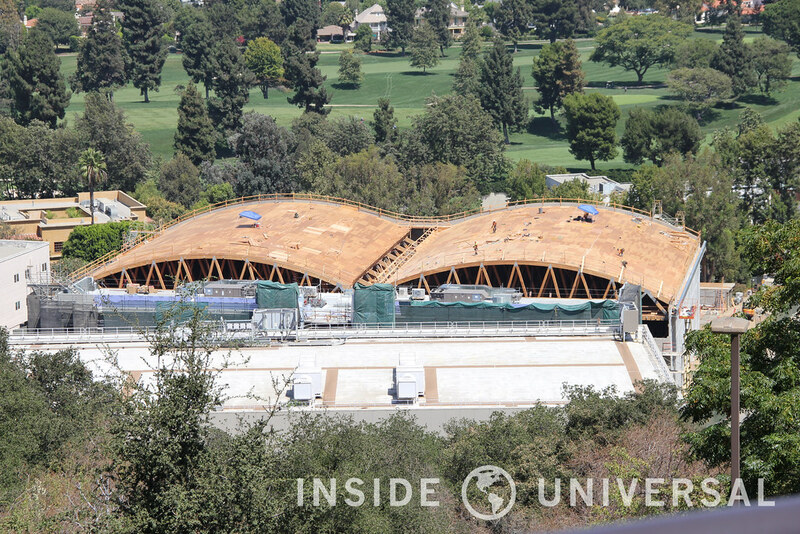 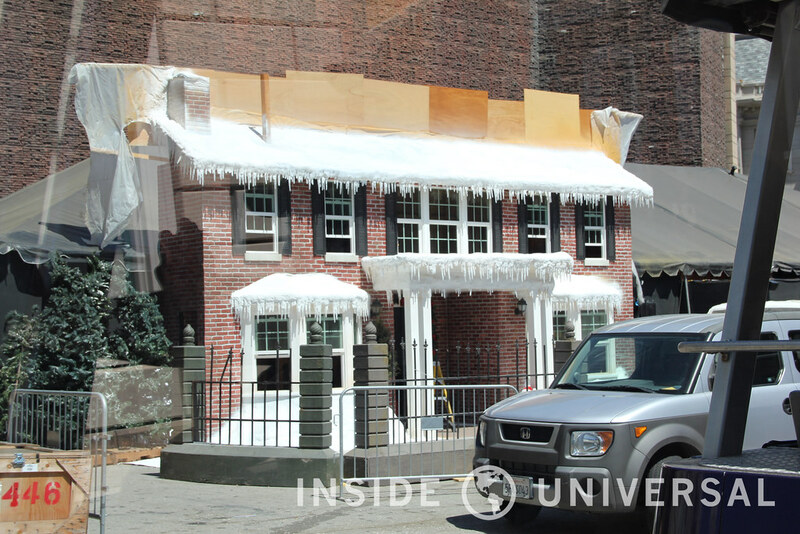 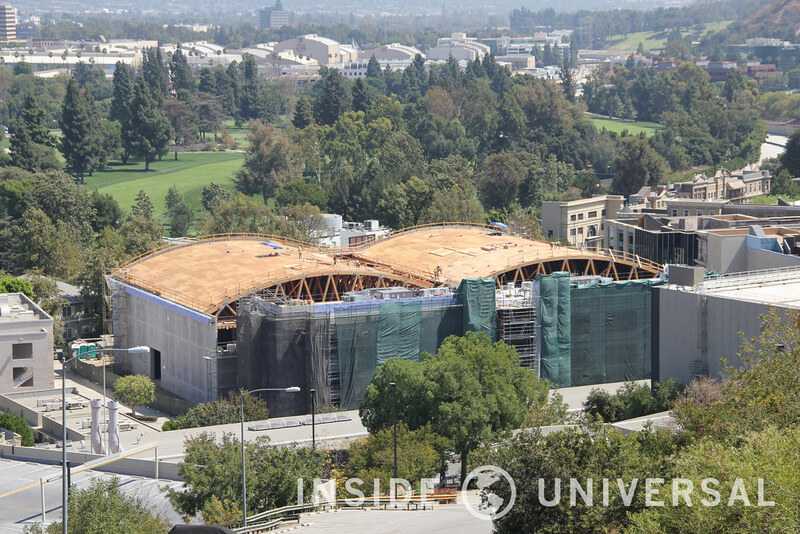 Just across the way, the sinister facade of Freddy vs. Jason appears to be mostly completed. 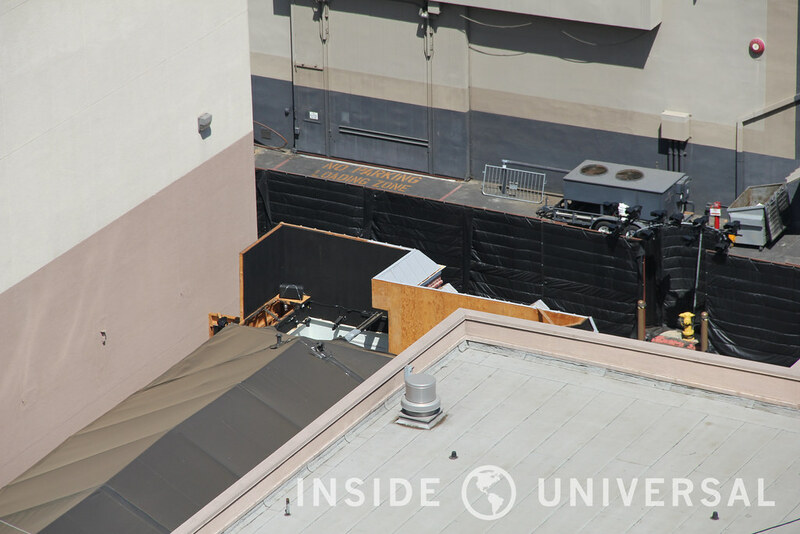 And lastly, crews have begun moving props for this year’s Terror Tram by the War of the Worlds set. 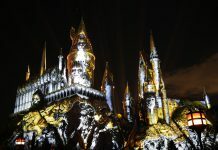 If you’re planning to attend this year’s event, be sure to read our guide on how to survive Halloween Horror Nights by clicking here! 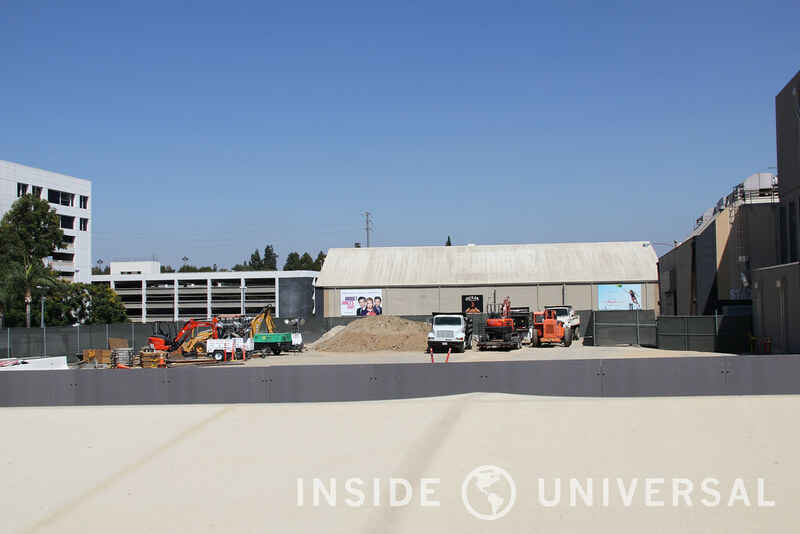 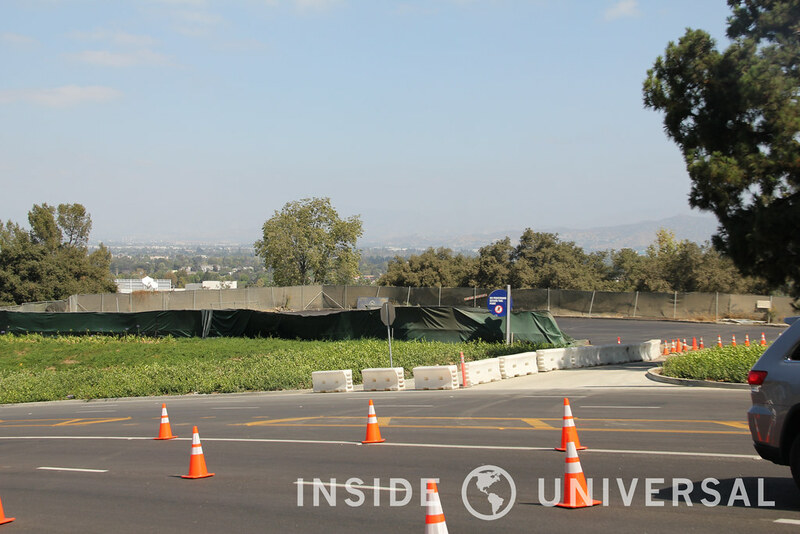 Finally, construction on The Secret Life of Pets attraction has appeared to slow down, with a large mound of dirt along with some construction trucks now occupying the former plot of Soundstage. 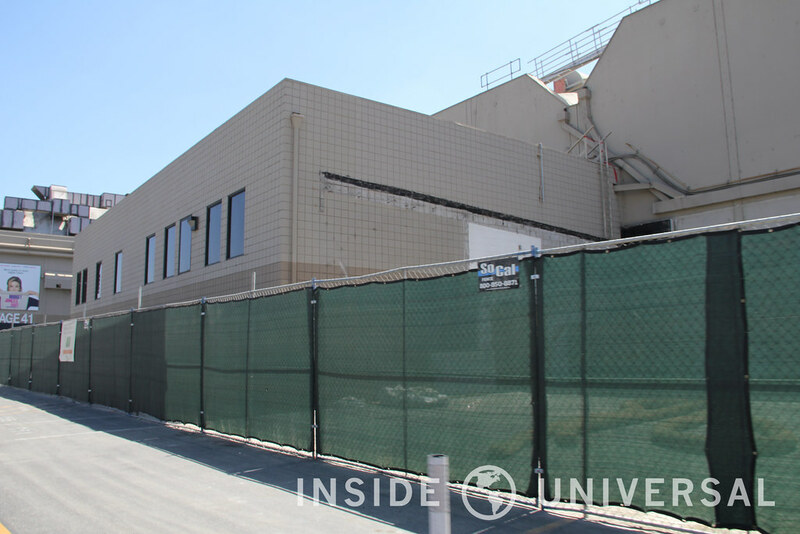 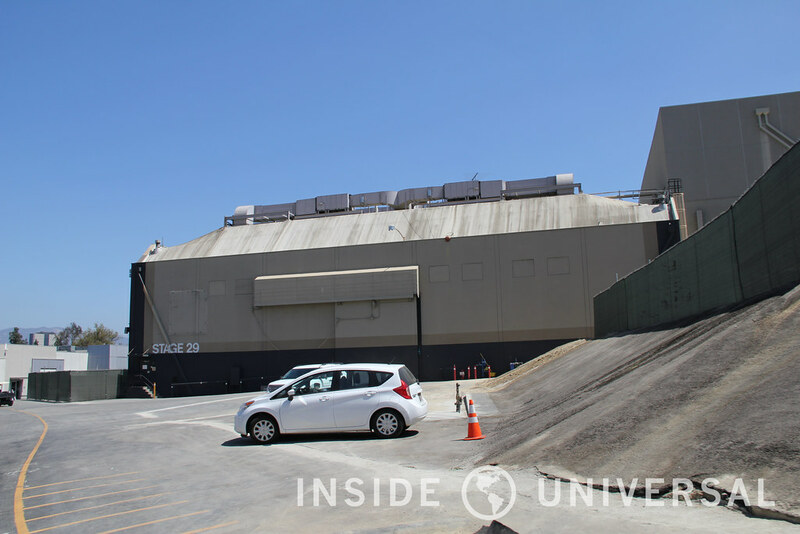 One has to wonder if Universal is waiting until the demolition of Soundstages 29, 30 to begin construction. 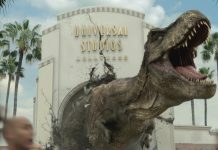 Back in June, Universal announced their new 5-year plan that sought to map out the future of the theme park and studio. 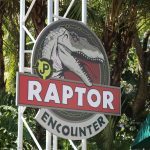 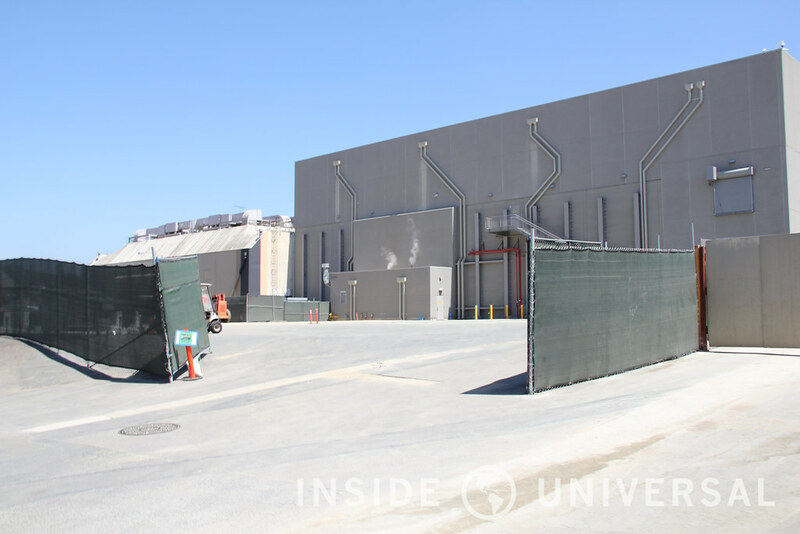 Universal’s new five-year framework will begin with the construction of two new sound stages near the Metropolitan sets. 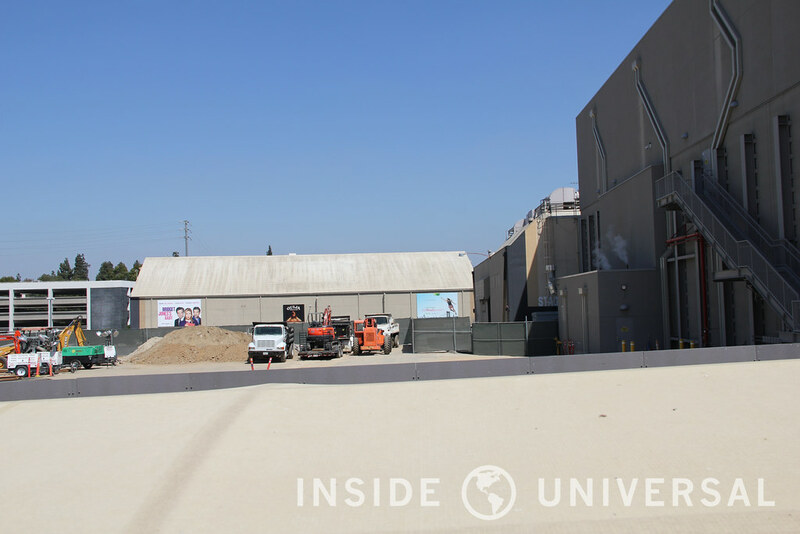 These sound stages will include offices, which will house their own dressing and make-up rooms along with editing rooms and production offices. 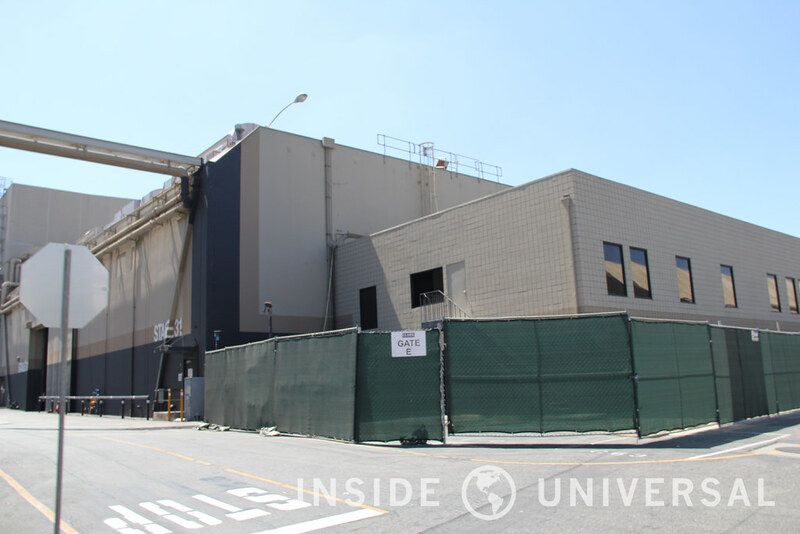 These two stages will be used for NBC’s musical Hairspray Live which will air later towards the end of the year. 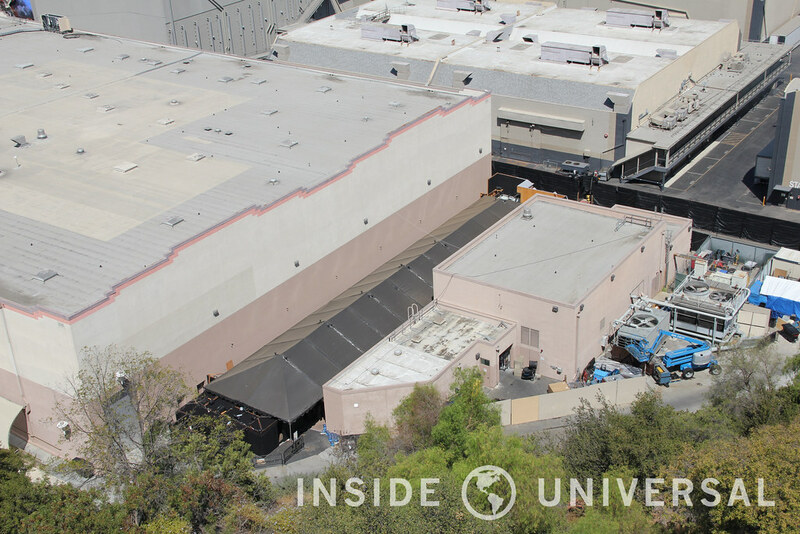 Also on that same note, Soundstages 29 and 30 have been gutted and appear to be ready for impending demolition. 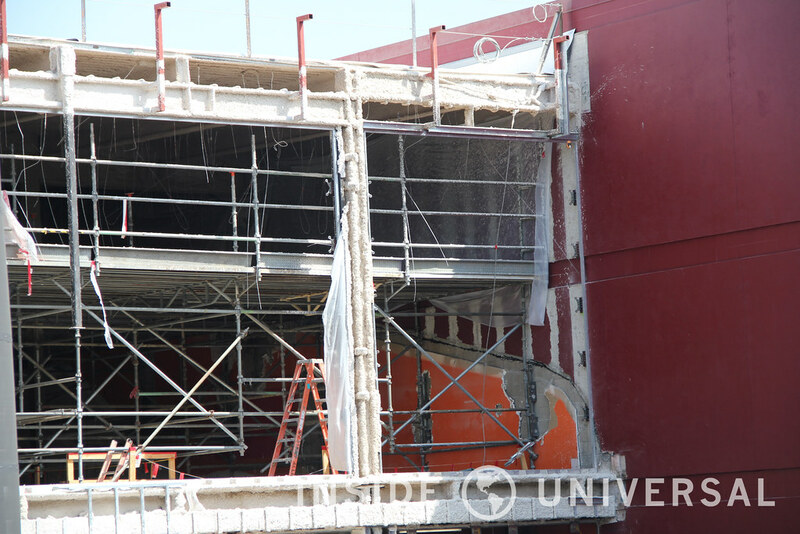 That will conclude this week’s photo update. 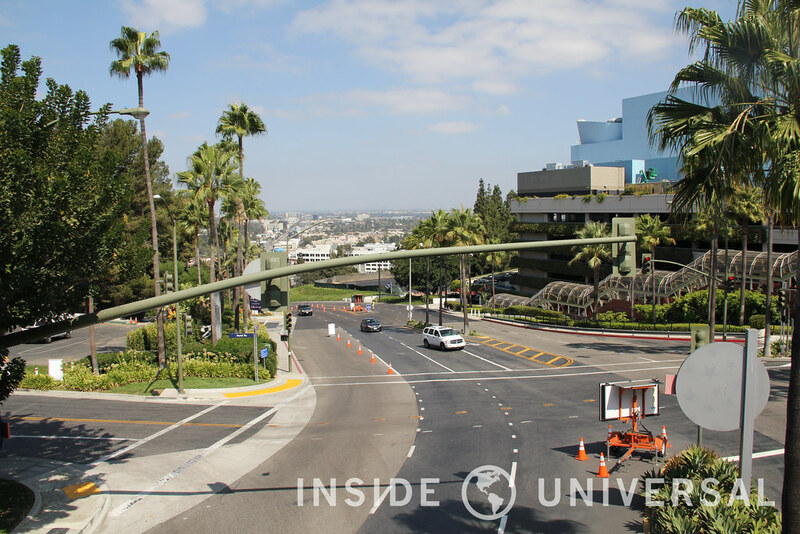 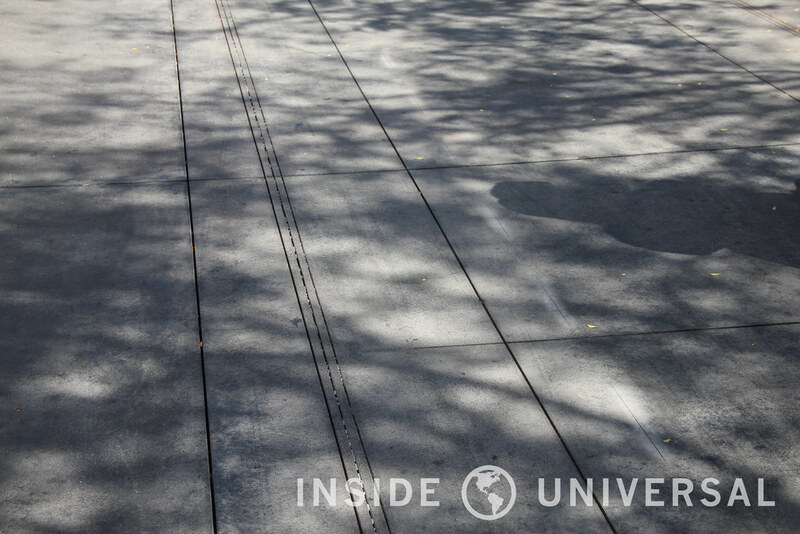 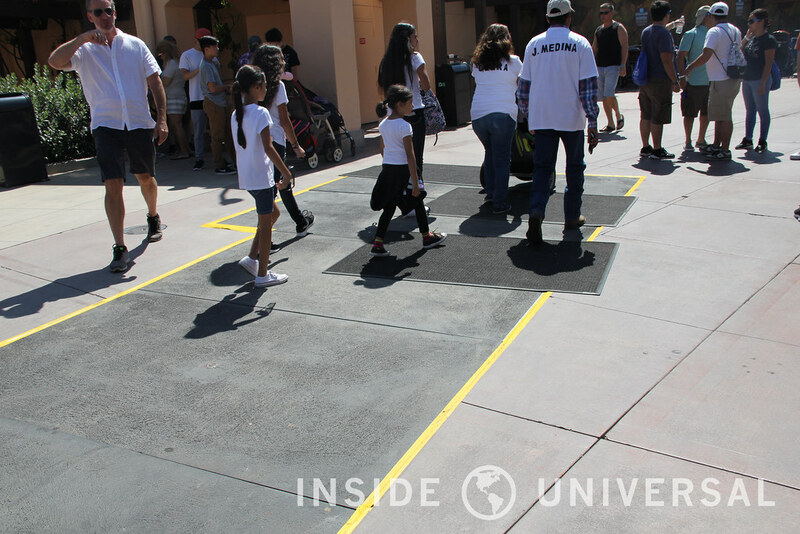 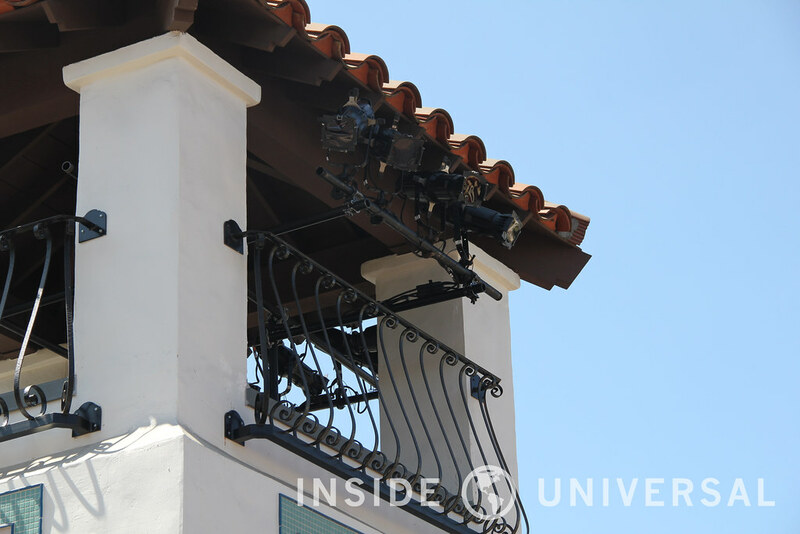 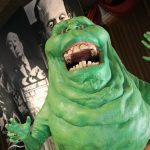 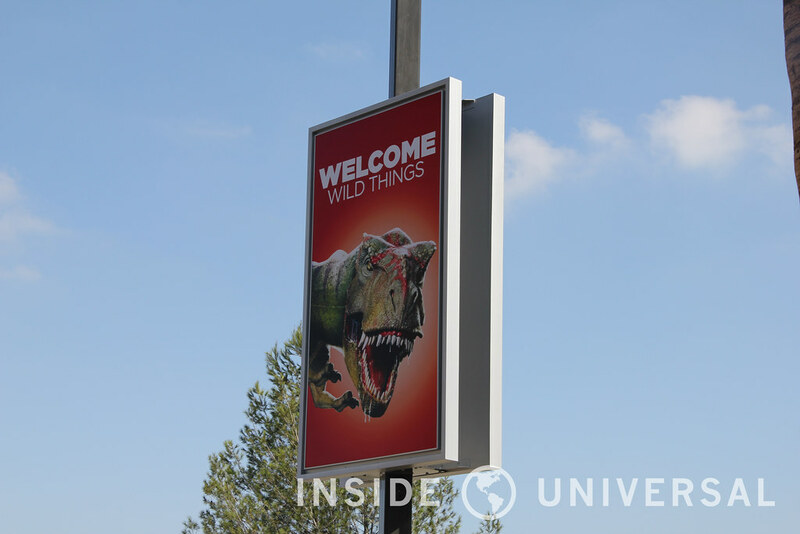 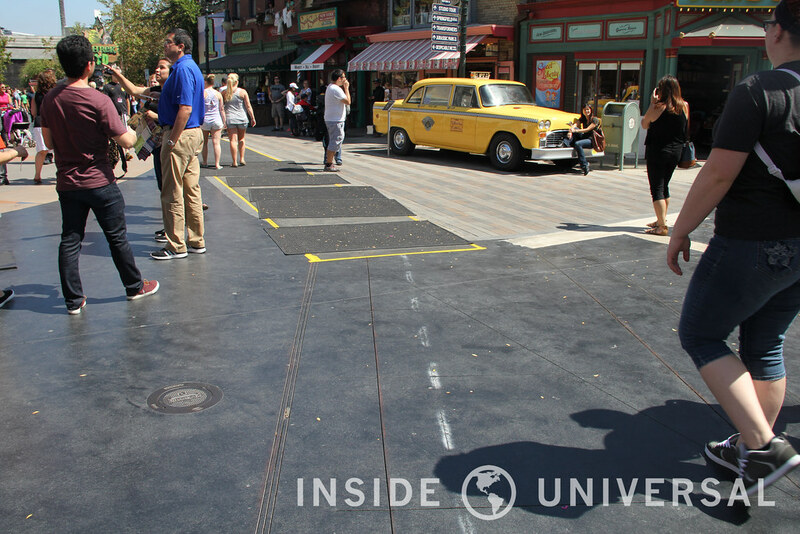 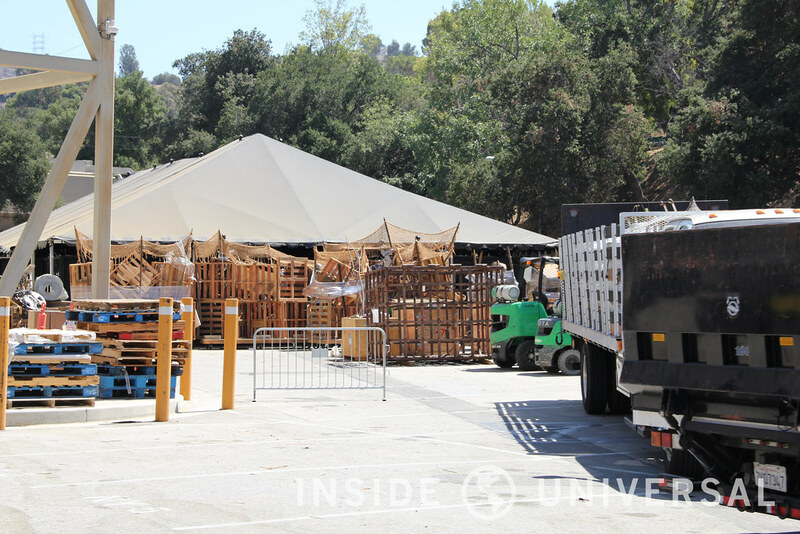 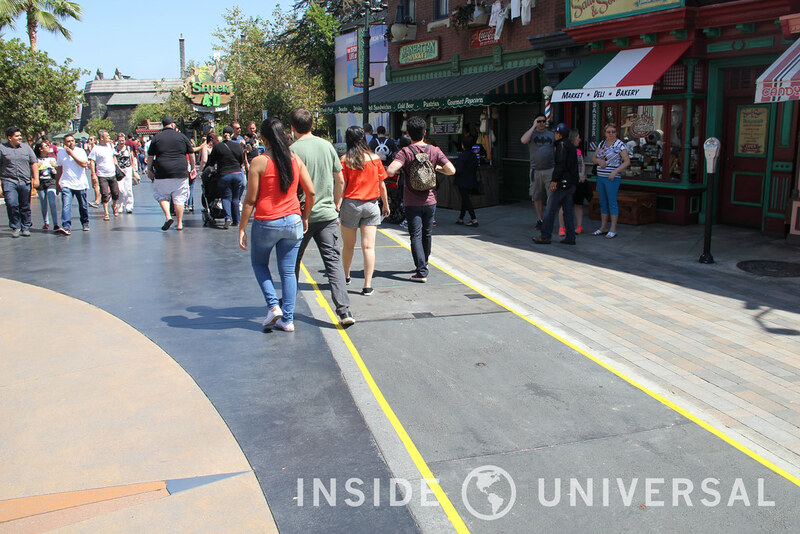 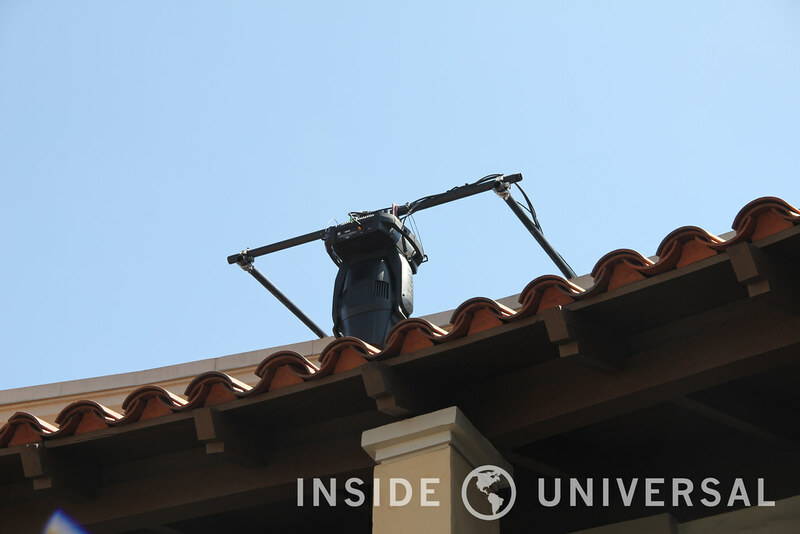 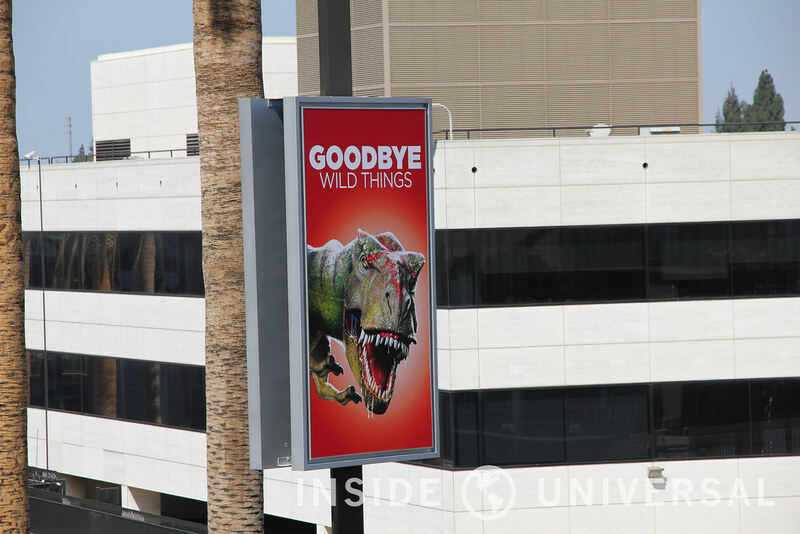 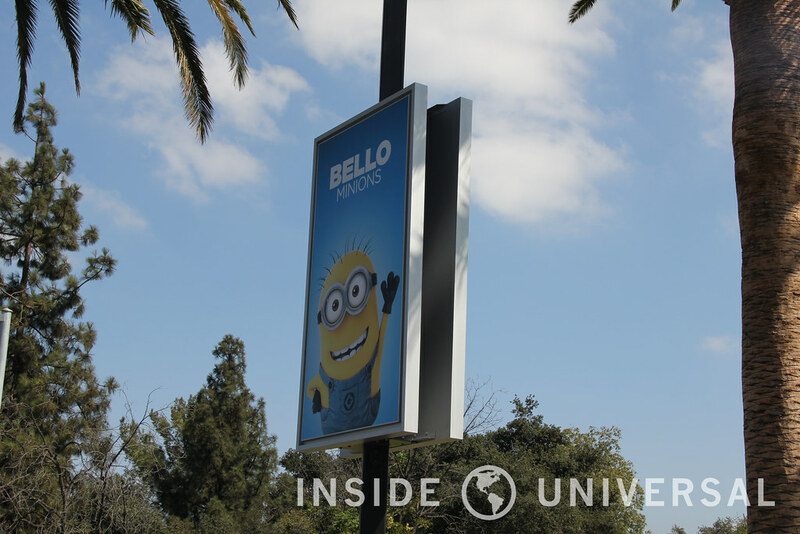 The Universal property is always changing, so be sure to follow Inside Universal for all things Universal Studios Hollywood and Halloween Horror Nights.